Can we preserve this lynchpin of our world's ecosystems while ensuring equitable global access? 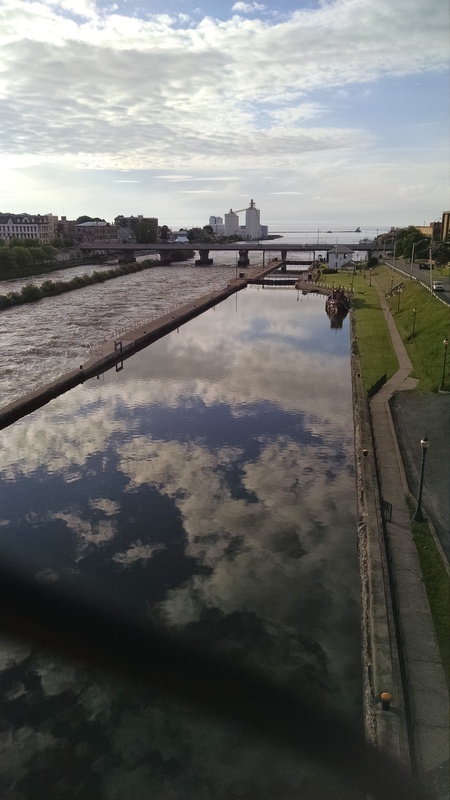 Mitchell, E. "Oswego Canal." CC BY-NC. Penfield Library supports SUNY Oswego's first Grand Challenge: Fresh Water For All. This resource guide contains recommended library resources for faculty members as you and your students work on projects related to the many issues surrounding fresh water. Contact your subject area's liaison librarian. For more information about the library services available to support your work, check out Penfield Library's Services for Faculty. As a life-giving but also potentially destructive substance, water occupies a prominent place in the imagination. At the same time, water issues are among the most troubling ecological and social concerns of our time. Water is often studied only as a "resource," a quantifiable and instrumentalized substance. Thinking with Water instead invites readers to consider how water - with its potent symbolic power, its familiarity, and its unique physical and chemical properties - is a lively collaborator in our ways of knowing and acting. What emerges is both a rich opportunity to encourage more thoughtful environmental engagement and a challenge to common oppositions between nature and culture. Drawing from a pool of contributors with diverse backgrounds, Thinking with Water presents the work of critics, scholars, artists, and poets in an invitation to pay more attention to the aqueous aspects of our lives. In Water and African American Memory, Anissa Wardi offers the first sustained treatise on watercourses in the African American expressive tradition. Her holistic approach especially highlights the ways that water acts not only as a metaphorical site of trauma, memory, and healing but also as a material site. Using the trans-Atlantic voyage as a starting point and ending with a discussion of Hurricane Katrina, this pioneering ecocritical study delves deeply into the environmental dimension of African American writing. Although NOAA is known for its work in marine habitats, the agency has resource management, stewardship, research, and monitoring responsibilities for many freshwater ecosystems. A group of MIT students on a mission to ensure that all people in all nations have access to fresh, clean water. Coordinating the UN's work on water and sanitation. SIWI's vision is a world that recognizes the unique value of water, and ensures that it is shared and allocated sustainably, equitably and efficiently, to meet everyone’s basic needs. Sea Grant's work focuses on coastlines including the Great Lakes. New York Sea Grant has an office in the basement of SUNY Oswego's Penfield Library! News relating to the Great Lakes, including environment, history, recreation, shipping, regulation, development, and more. A music festival where the instruments are carved out of ice. Sargent, J. S. (ca. 1901-7). 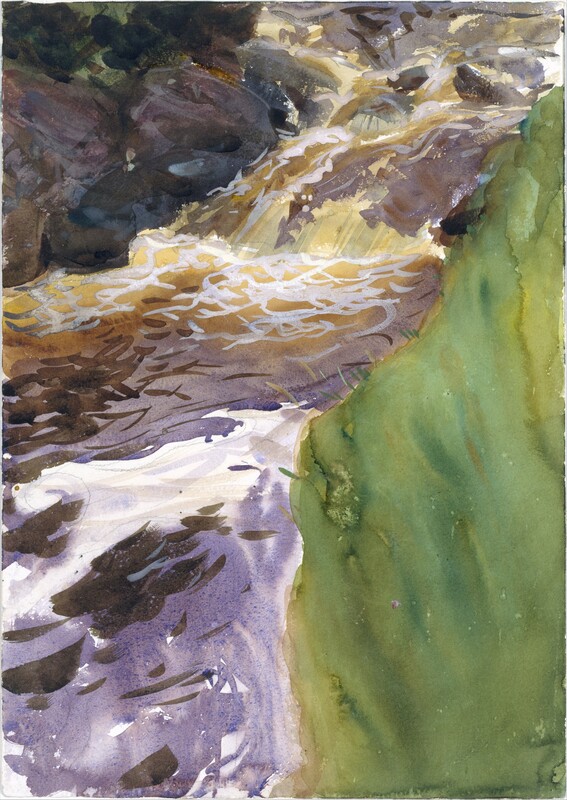 "Rushing Water [painting]." Retrieved from https://www.metmuseum.org/art/collection/search/12170. A courseware module from Penn State that "investigates water behavior and occurrence, its relevance to life, human activities, politics, and society." This open course from MIT covers "water systems, water transfers, dams, pollution, climate change, scarcity, water conflict/cooperation, food security, and agriculture... Adaptive technologies and adaptation through policy, planning, management, economic tools, and finally, human behaviors required to preserve this precious and imperiled resource." Hashiguchi Goyō. 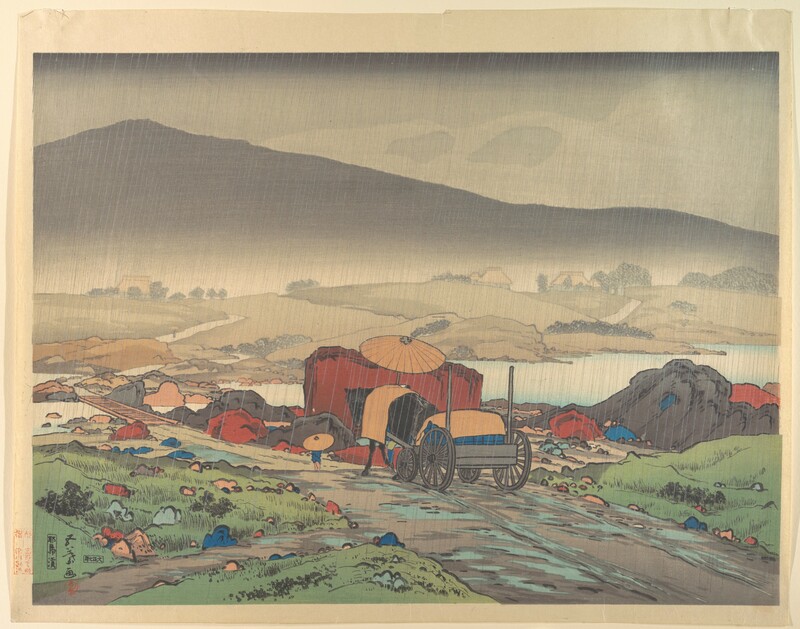 "Rain at Yakabe." Retrieved from https://www.metmuseum.org/art/collection/search/56725 CC0.